I have known Amy since I was 10 or 11 years old. She was friends with my sister growing up! I even cheered with Amy in an all-star league in high school. I had seen Amy at a family members graduation party, and she told me how much she admired my work. 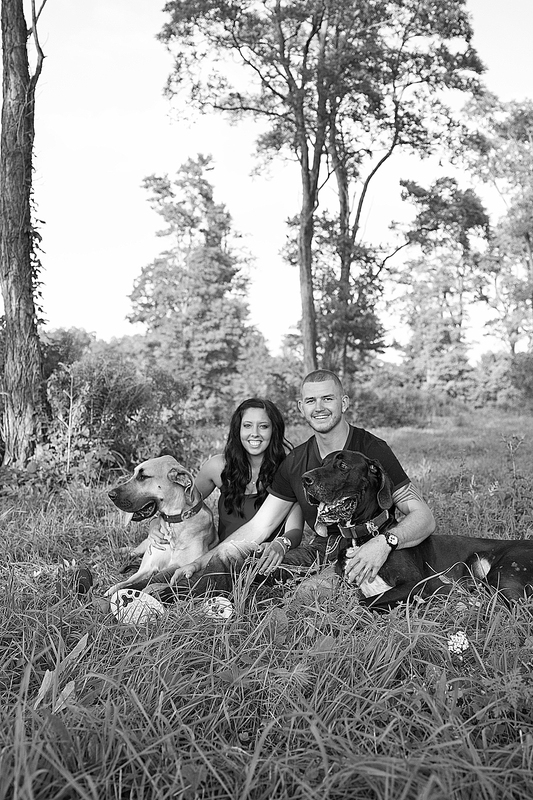 She wanted to set up a session with me, her boyfriend, and their two great danes! Now, going into this I was a little afraid. 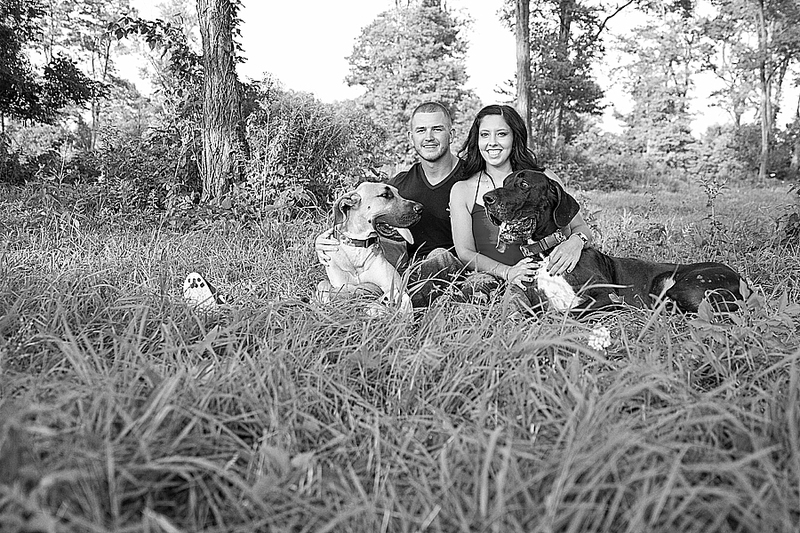 I hadn't really done a session with dogs yet. Let alone two huge great danes! I was afraid they were not going to cooperate. Well, it ended up being the complete opposite. Once the session got rolling it took a few tries…but they were beyond good. They were AMAZING! I am actually sitting here giggling because I am in awe at how good and photogenic the dogs were. Amy and Andy were SUPER comfortable to work with. This session was so relaxed and fun. I can see the love they have for one another, and their dogs too!